CardioServ’s next stop on the World Tour was Cleveland, Ohio! 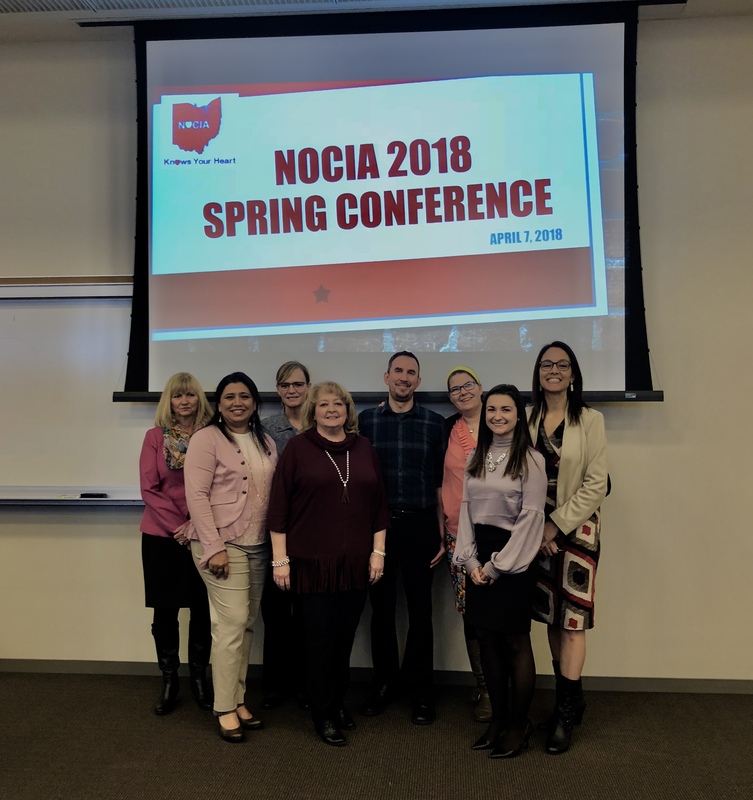 We had the honor of speaking at the Spring Echo Conference “Back to Basics” for the NOCIA. The Society conference was held on the campus of a local college (Cuyahoga Community College). 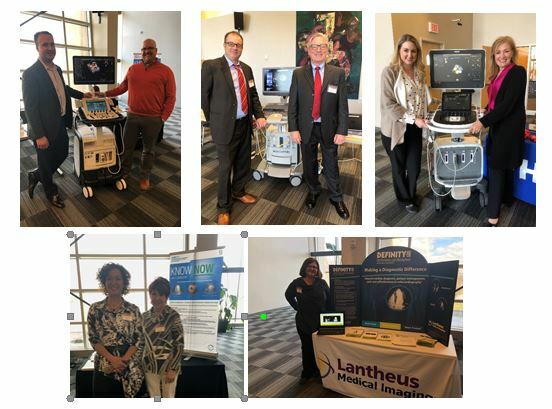 Attendees from the Cleveland and Akron area attended, which included sonographers, students and physicians. The speakers at the conference were an amazing group of sonographers, with the Keynote speaker being Elizabeth Mcilwain who spoke on Passion and Precision. Dinner with the speakers & board members of NOCIA! This sounds like a regular, nothing special, society meeting….so why the blog? 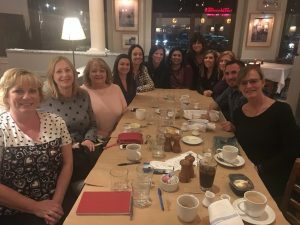 The level of commitment to creating a community of dedicated professionals was note worthy and I would like to share our experience along with a few pictures to encourage all of you out there to get involved with your local society or to start your own! We will provide a few tips! It is not always easy running a society and putting meetings together. Society meetings are ran by volunteers and finding time can be challenging. What struck us most about the Northern Ohio Cardiac Imaging Association was the ability to create a community. The meeting was not just about learning but about connecting with our peers & remembering why we are in the field of cardiac ultrasound…to help patients! The conference covered topics from contrast and accreditation, to interesting case studies and 3D echo. Andrea and myself spoke on left and right heart quantification and the basics of diastology. The speaker that brought the room to complete silence, along with laughs and tears, was the keynote speaker Elizabeth Mcilwain. Elizabeth has over 25 years of ultrasound experience including mentoring, teaching and speaking. 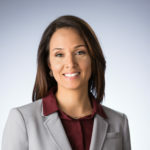 She is currently the operational coordinator at West Jefferson Medical Center, just 15 minutes from downtown New Orleans. Elizabeth gave an inspirational, moving and phenomenal presentation over ‘Passion and Precision’ that is required in echo. She expressed how passion alone is not enough to be a quality sonographer, and likewise precision alone is not enough to be an excellent sonographer. It takes the love and passion of our trade along with the skill and precision to ensure we do not miss a diagnosis that will affect the outcome of our patients. She presented case studies that required an accurate diagnosis with grave implications if the discreet pathology was to go unnoticed. It was great to be reminded of the vital role sonographers and cardiologists play for the correct diagnosis and treatment of our patients. Most echo societies require the support of local vendors to get these meetings up and running. NOCIA had tremendous support from their local vendors. Bracco, Lantheus, GE, Philips and Siemens all showed up to support the society. They brought their latest equipment and information to share with the sonographers. Their support made the meeting a huge success. A special thanks to Hitachi for sponsoring CardioServ and providing us with the opportunity to present. Click Here to view ASE’s education calendar and locate a meeting near you! Can’t find a Society in your area? For tips on how to start your own Local Society, visit ASE’s Resource Page. Are you a meeting organizer from a Society enrolled in our CEU program? Download the fillable form for an individual meeting* and submit via email to dlyons@asecho.org. Not yet enrolled and interested in finding out more? Click here to download the form of the program guidelines and application materials. The ASE echo society resource page has lots of FAQs and support. The page includes information and guidance on how to organize and develop a local society. How to structure your groups, leaders, and meetings. They even provide sample documents and contacts to other society members to help you. The Northern Ohio Cardiac Imaging Association embodies the passion and precision that inspires all sonographers, cardiologists and clinicians to remember why we work in the field of cardiovascular diagnostic imaging. We hope to have inspired you to find and join your local society, consider speaking at or attending an upcoming meeting. If you do not have a local society, why not be the one to start your local society?! If you are unable to attend a local society meeting and are still in need of CMEs check out our new CME platform! Need CMEs? CardioServ now offers Cat. 1 AMA Echo CMEs!